Multiple maladies: A child’s chances of a psychiatric diagnosis rise with new infections. Children who contract serious infections have an increased likelihood of being diagnosed with autism, a study of more than 1 million children suggests1. Many studies have explored the link between infection in a pregnant woman and autism in her child. The new study is among the first to examine the relationship between autism and infection in a child. The researchers found that infections requiring hospitalization increase a child’s chances of being diagnosed with any of a number of mental conditions, not just autism. Milder infections seem to slightly boost the chances of some diagnoses, but not of autism. Timing may matter. 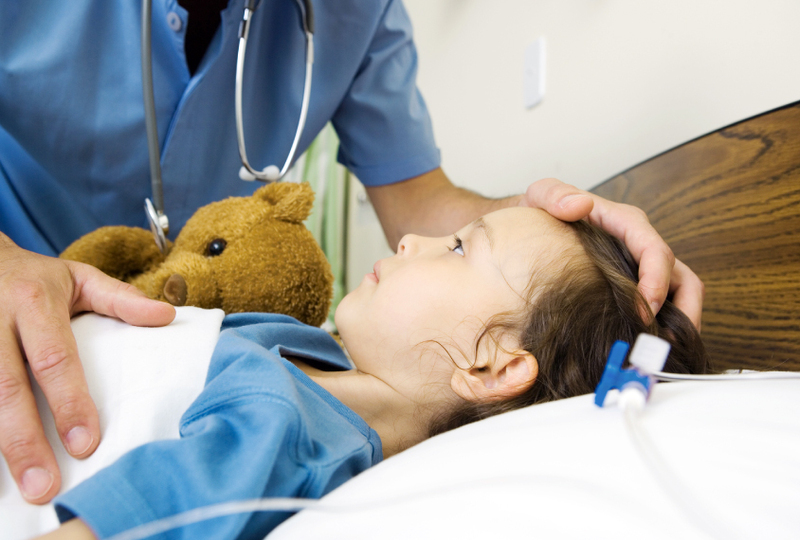 In the three months after a hospital stay for an infection, a child’s chances of receiving a psychiatric diagnosis jump to more than fivefold the typical rate. This risk lessens over time. The findings come on the heels of a smaller study, published in November, showing that children diagnosed with autism are more likely to have had an infection in the first month of life than are typical children or those with other developmental conditions2. Neither study establishes a causal link between infection and autism. But together, they indicate a connection. “They are two different populations and they’re coming up with the same data, by and large,” says Betty Diamond, head of the Center for Autoimmune and Musculoskeletal Disorders at the Feinstein Institute for Medical Research in Manhasset, New York, who was not involved in the research. They also jibe with work implicating the immune system in autism. Benros and his colleagues examined national registries that include medical records for every child born in Denmark from 1995 to 2012. They tallied hospital visits and prescriptions for infections, with the latter acting as a proxy for milder infections. They also looked at national psychiatry and prescription registries: They found 42,462 children who had been hospitalized for a mental-health condition and 56,847 children who had been prescribed a psychotropic medication; 4,078 of these children have autism. Children who have had at least one serious infection are 54 percent more likely to receive an autism diagnosis than are those who have not, the researchers found. For other conditions, severe infection increases the odds of diagnosis even more: 2.74-fold for obsessive-compulsive disorder, 2.6-fold for personality disorders and 1.8-fold for schizophrenia. Researchers reported the results 5 December in JAMA Psychiatry. However, serious infection boosts the chances of a mental-health diagnosis by just 21 percent over that of a sibling who has never had a serious infection. This finding suggests that genetic and environmental factors that siblings share partly underlie the association, Benros says. It’s also possible that having autism boosts the risk of severe infection, rather than the reverse. For instance, autistic children may cry less than typical children in response to an ear infection, so their parents may not consult a doctor as quickly. “It’s impossible to know whether the infection contributed to the autism or whether the autism contributed to their having more aggressive infection at the time of diagnosis,” Diamond says. Taking medication to treat an infection also seems to increase the likelihood of some psychiatric diagnoses — but not autism; subsequent prescriptions boost the chances. Whether this association is due to the medications themselves or is a secondary effect of the infections is unclear, however. “That’s a big question mark that needs to be addressed,” says Lena Brundin, associate professor of behavioral medicine at Van Andel Research Institute in Grand Rapids, Michigan, who was not involved in the research. In a separate study, Benros’ team found that maternal infection requiring hospitalization — either during or after pregnancy — slightly elevates autism risk in the woman’s child3. They next plan to examine associations between immune responses in adults and conditions such as autism, depression and schizophrenia.